Fresh and clean air is the most important factor for living a healthy life. But is the air around us is safe for breathing? No doubt, that the quality of air today is worst and unsafe to breathe. Almost in every city/ urban areas, the air is polluted with harmful smoke from chemical plants, dust, emission, smoke from vehicles. Breathing polluted air is hazardous to health and it can cause fatal diseases, illness, infections and in worst case death as well. Some of the health problems caused by air pollution are allergic rhinitis, respiratory tract infections, sinus, asthma, cold, cough etc. We always think our home sweet home is the safest place in the world. But it is not very true, our house might have indoor air pollution caused by many harmful pollutants. Indoor air pollution can be deadlier than outdoor pollution. Let us see some of the main causes of indoor air pollution, Smoke produced by cooking food, Chemicals used in household cleaning products, Artificial fragrances, smoke, wall paint, furniture, building material, dust are few of the factors which are responsible for indoor air pollution. We can’t control outside pollution but, can definitely reduce air pollution in and around house by taking some measures. Be always a few steps ahead to maintain the quality of a air. The kitchen is the place which can contribute to indoor air pollution. Use exhaust fans in your kitchen and home to throw smoke out of the house. Do regular maintenance of chimneys in the kitchen to avoid indoor air pollution. Reduce use of artificial fragrances, chemical sprays and deodorants in your house. As chemicals used in this product are harmful. To get rid of bad odours in the house keep your windows open and let fresh air pass through instead of using Air sprays. Cleaning of the house is extremely important for removing dust and pollutants Daily clean floors with broom and mop, and along with it go for complete cleaning of the house. Often clean walls, windows, and doors as well. Walls of the house might have dust, germs, and pollutants. Always check for molds, dust mites bed bugs and if found eliminate it immediately. Maintain a garden around your house and it will help to have a fresh air. Plant flowers, vegetables , fruits or choice of plants in it. If you live in an apartments have a dedicated balcony garden. Plant some plants in earthen pots in it or you can have a hanging garden as well. They absorb particulates and carbon dioxide, benzene from the air to release oxygen. 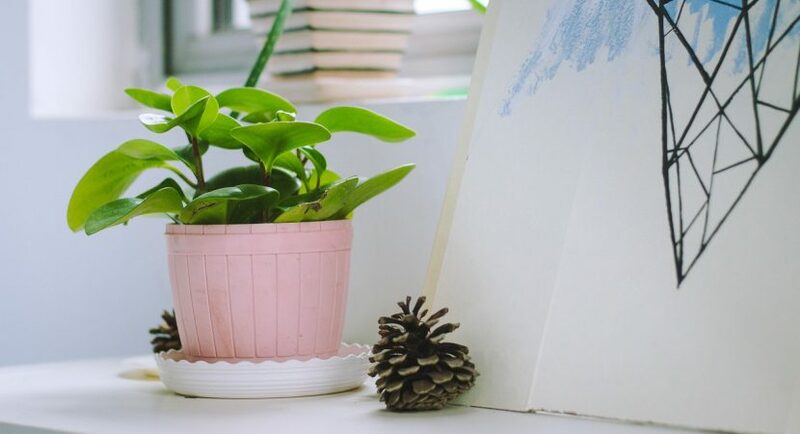 Houseplants will improve air quality by removing harmful pollutants like ammonia, formaldehyde, trichloroethylene benzene and xylene. These plants are easy to care for will beautify your house as well. Decorate your living room balcony, Bed room corridors with any of the plants mentioned above. I am software engineer by profession and a mommy behind Hellomomy . When I conceived my first baby ,I started noting down things related to pregnancy, baby care, diet in my diary. After my first child born, I extended writing about baby care and parenting as well. This is how the diary eventually turned into my blog. Now I share my journey of motherhood ,useful parenting tips and healthy recipes on my blog.